The Britannicas’ “I Got You” Improves On The Del Shannon Original | Pop That Goes Crunch! A couple of nights ago, a link came across the virtual wire to an upload of a track recorded by The Britannicas for the new Del Shannon tribute record released the next day. The Britannicas are a virtual band comprised of “multi-instrumentalists recording from their respective home studios, they are not from the UK or even one particular country.” They also say they are “21st century men and pioneers of trans-continental recording; using modern technology to deliver old school, classic pop music.” In particular, The Britannicas are comprised of Herb Eimerman, Magnus Karlsson and Joe Algeri. The description “old school, classic pop music” describes almost all of the music discussed on this blog. 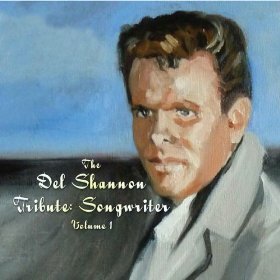 The Del Shannon tribute album, also featuring contributions from Marshall Crenshaw, Frank Black and The Rubinoos (and others) can be sampled and purchased here. The band notes on its Facebook page: “Stefan has sent a drum track to Joe in Australia. Joe has just mixed it and sent it back to Magnus in Sweden to add guitar and vocals. Herb is tuning up his bass in the US. The Britannicas are recording their second album!” Good for us. The Britannicas very kool full-length CD was released on Kool Kat – go to Kool Kat Musik to order your copy today! Kook Kat is indeed the koolest place to get the koolest pop CDs.